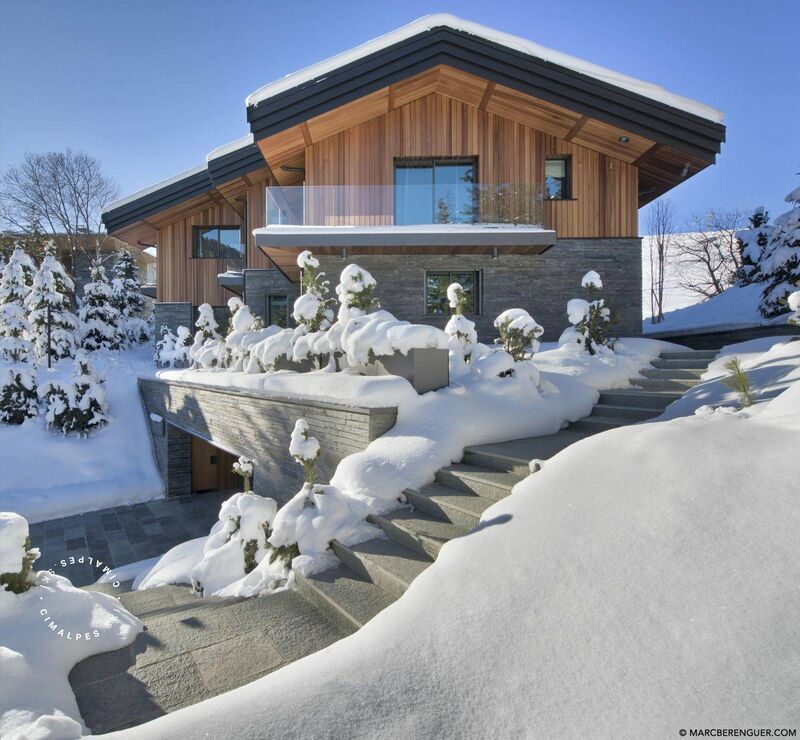 The chalet Namaste des neiges located in the sought-after Belvédère area. 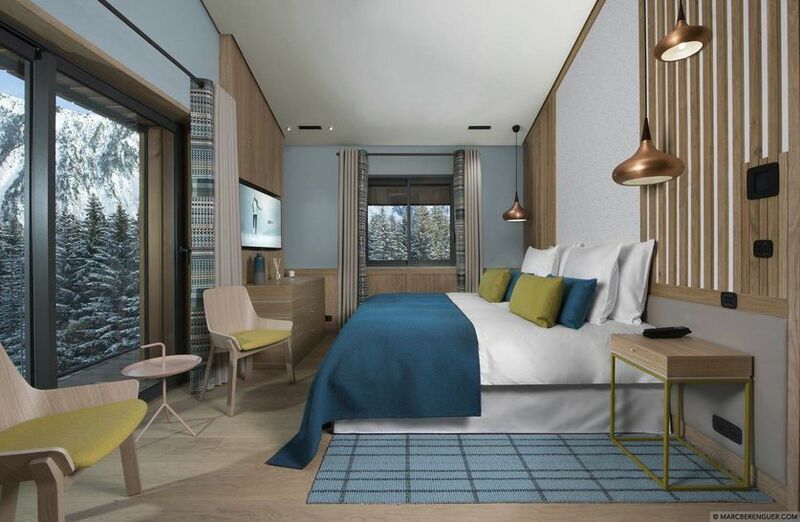 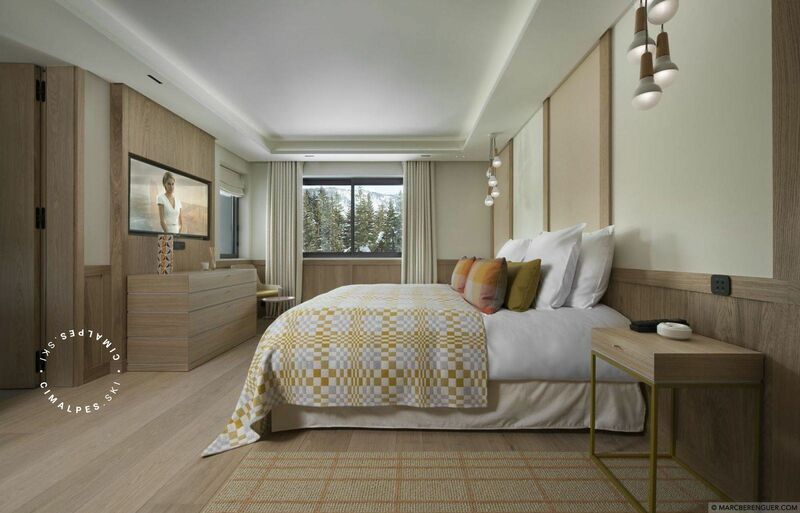 Located at the foot of the ski slopes and near the center of Courchevel Moriond, its location will delight ski enthusiasts. 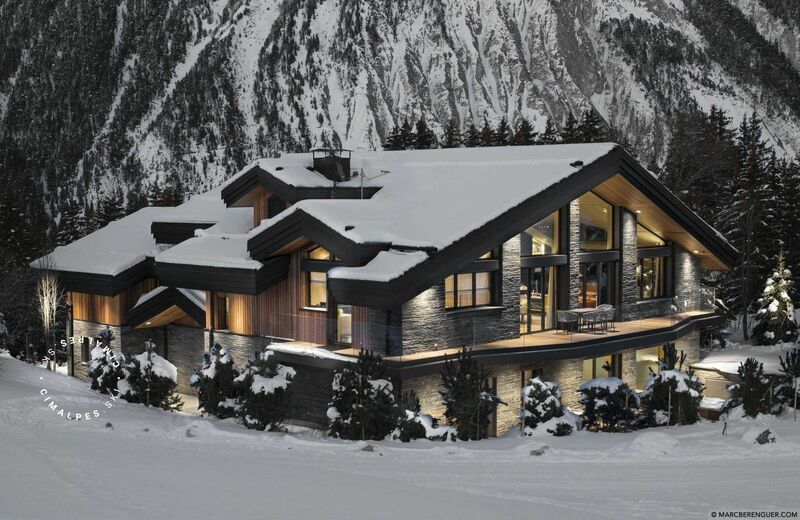 The exterior of the chalet Namaste des Neiges is traditional with wood and stone facade, however it remains contemporary. 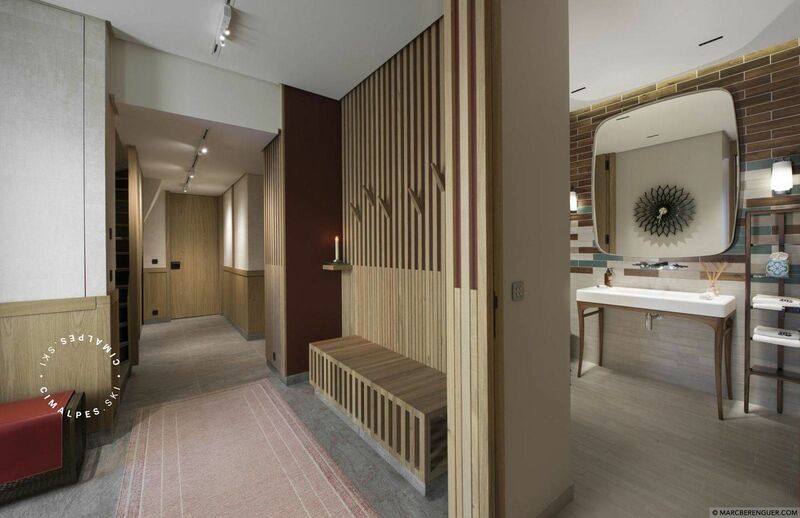 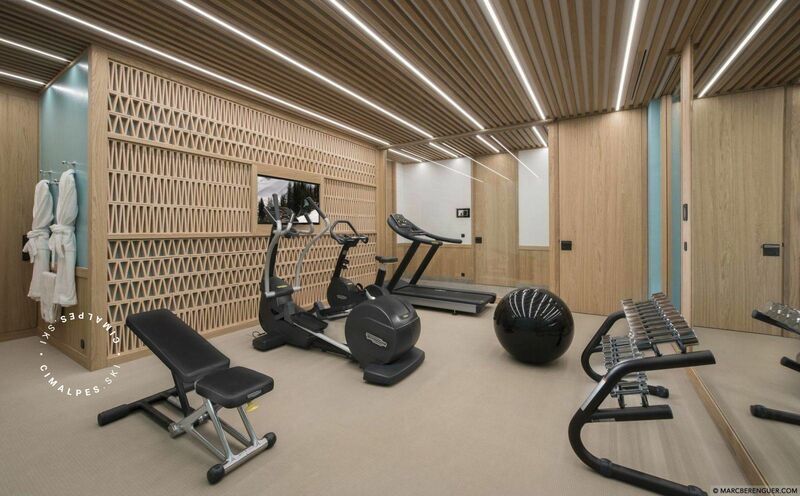 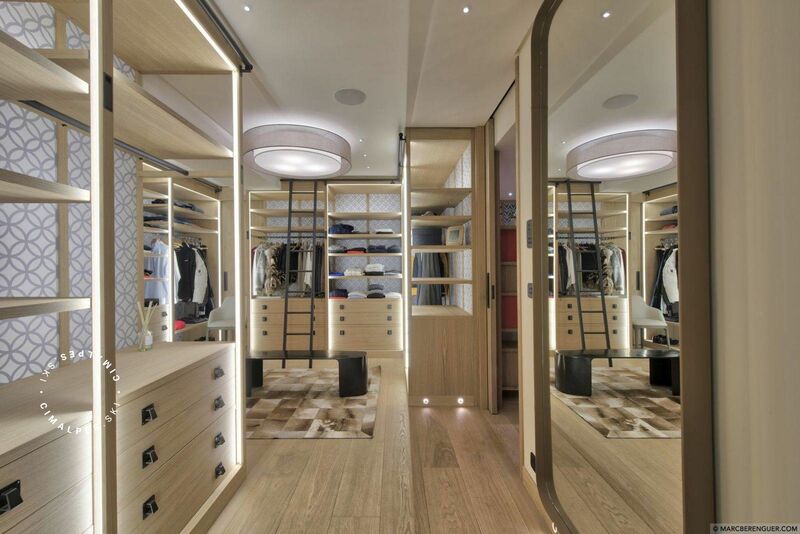 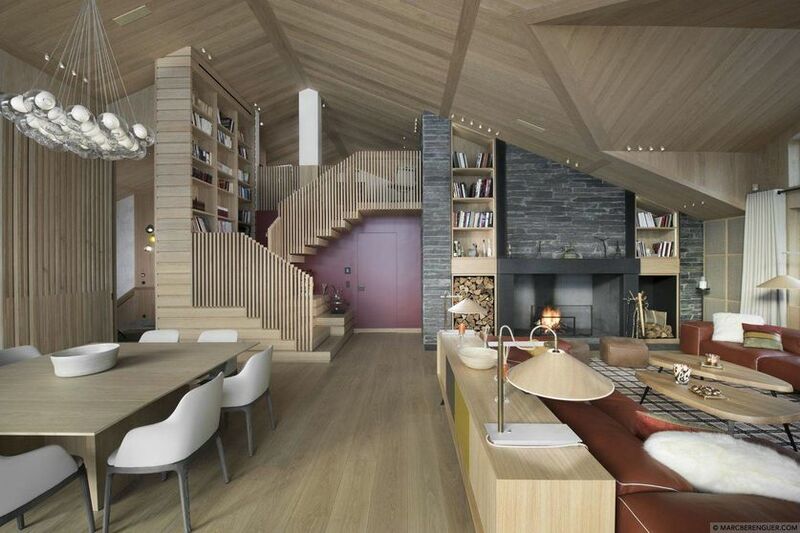 This contemporary side continues inside with large spaces that keep this omnipresence of wood. Everybody will love the simple, warm decoration of the chalet Namaste des neiges. 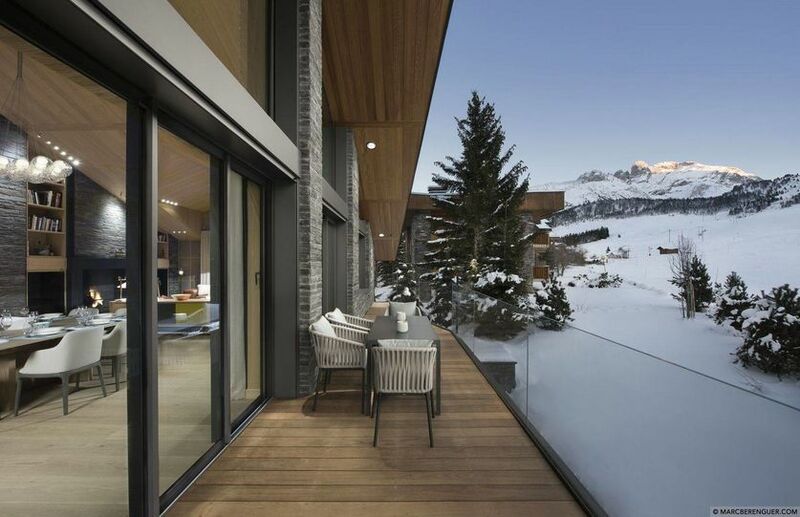 At the first level of this chalet, you will find a warm and cozy living room, decorated in a refined way, made of noble materials, with its magnificent fireplace and its large windows giving access to a balcony with a postcard view. 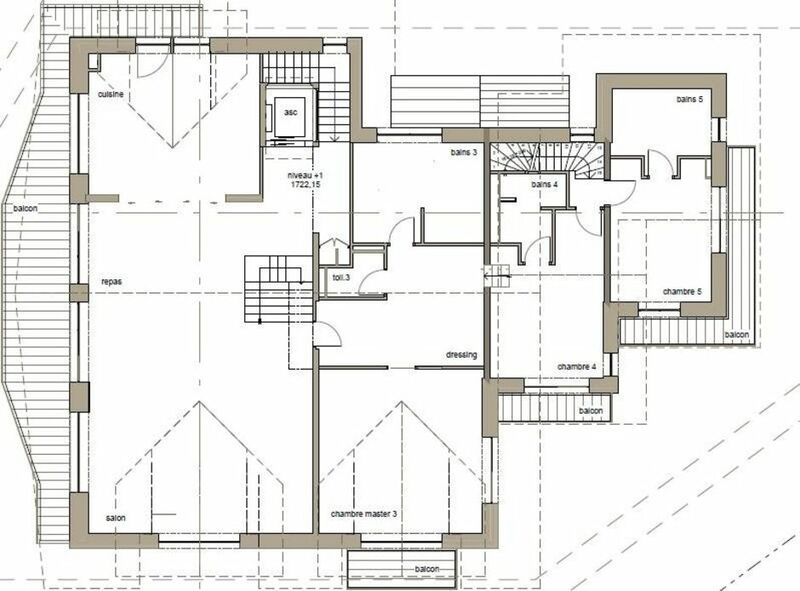 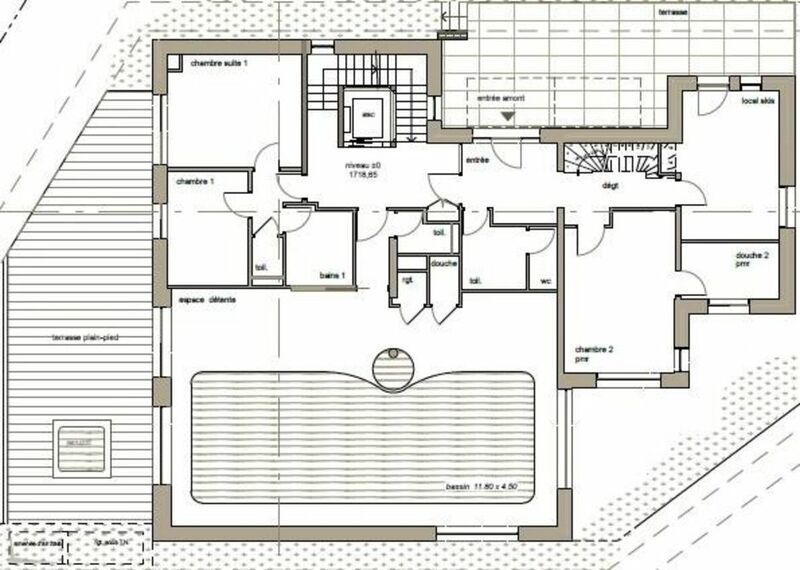 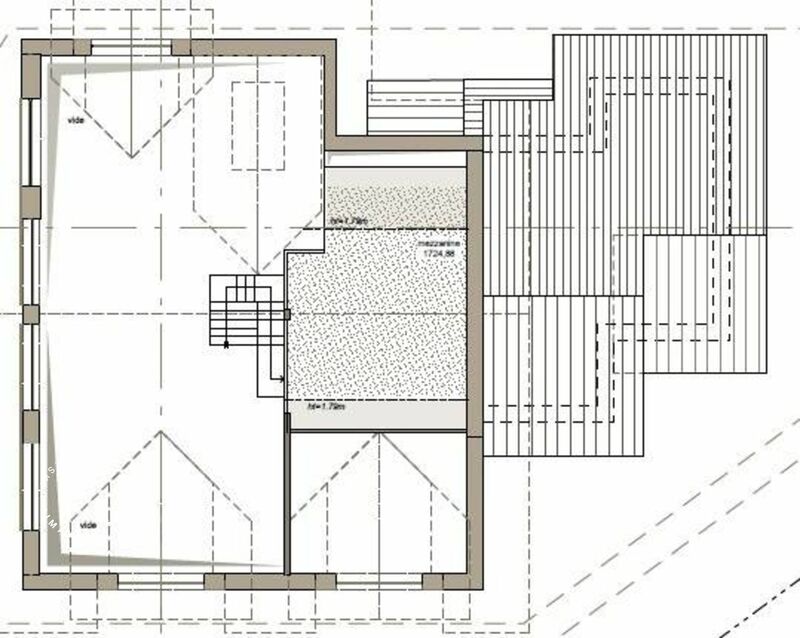 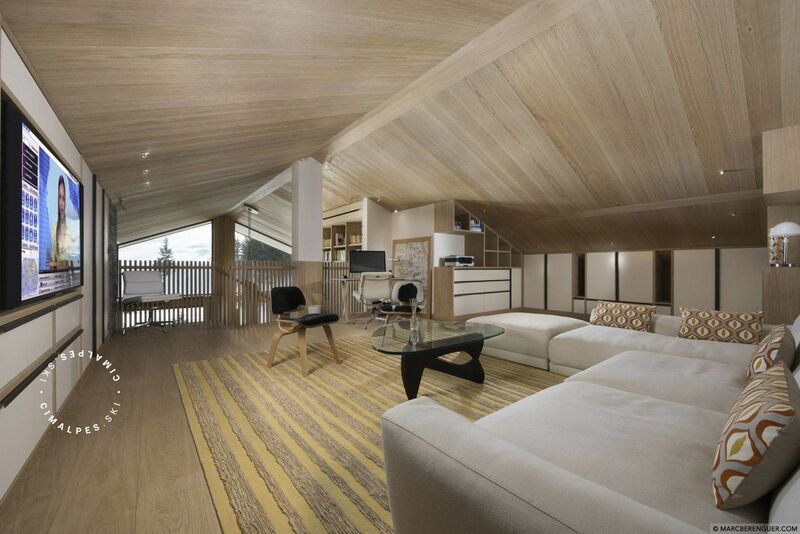 You will also like the spaces proposed by this chalet as well as the high-end equipment made available. 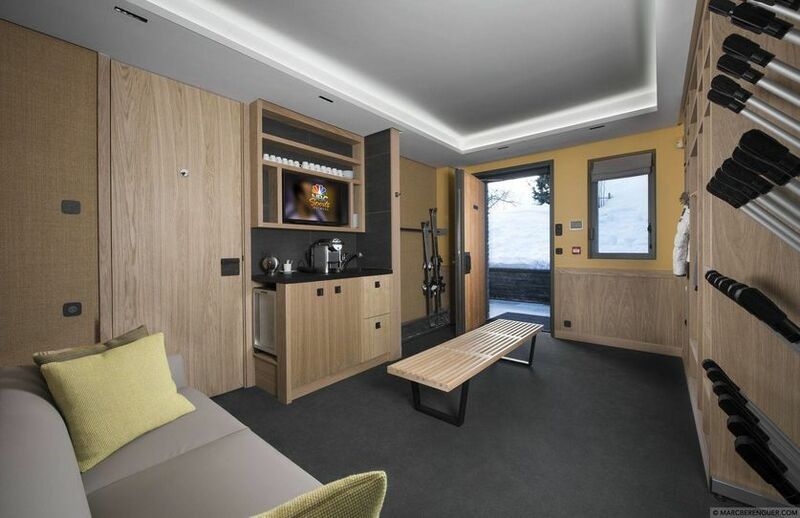 Level 0, a large outdoor jacuzzi adorns the terrace which will allow you to enjoy a beautiful sunset and snow twirling in the middle of snowy fir trees. This chalet is also equipped with a private ski-room and a gym. 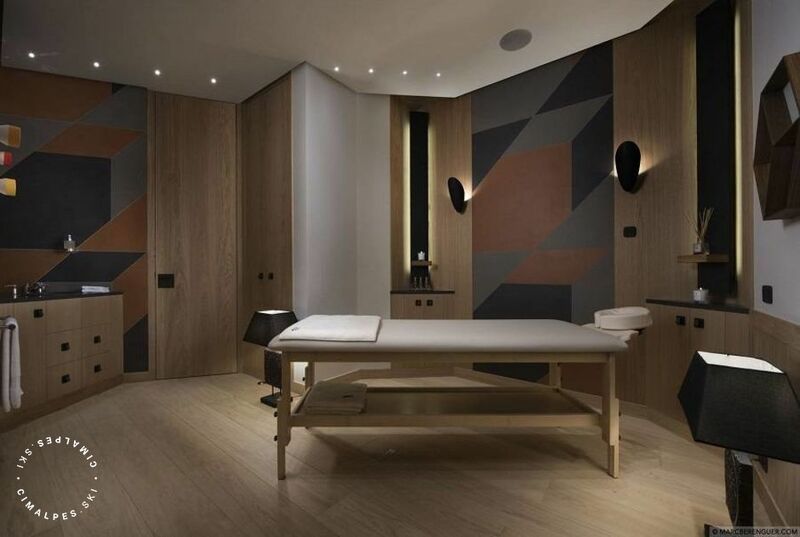 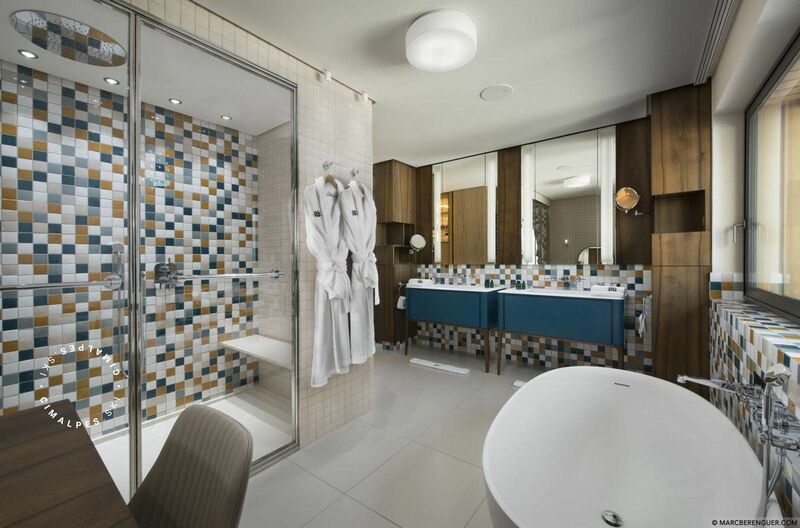 The indoor pool and massage room will allow you to relax after a day of skiing. 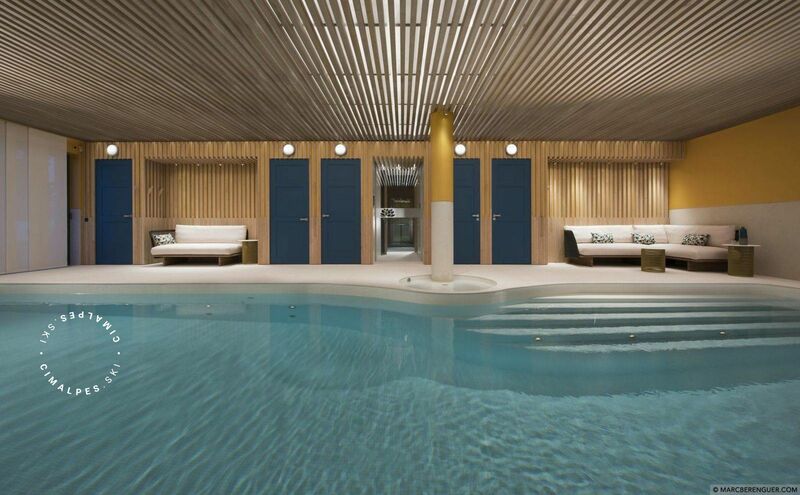 Nothing beats a moment of relaxation after a day of skiing, its large pool with its lounge and soothing colors but also its massage room will keep their promise and become your favorite place (with tracks of course). 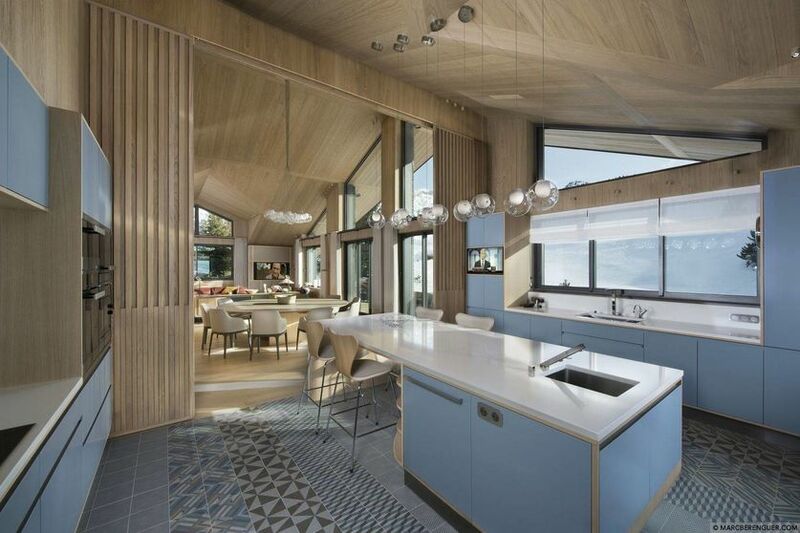 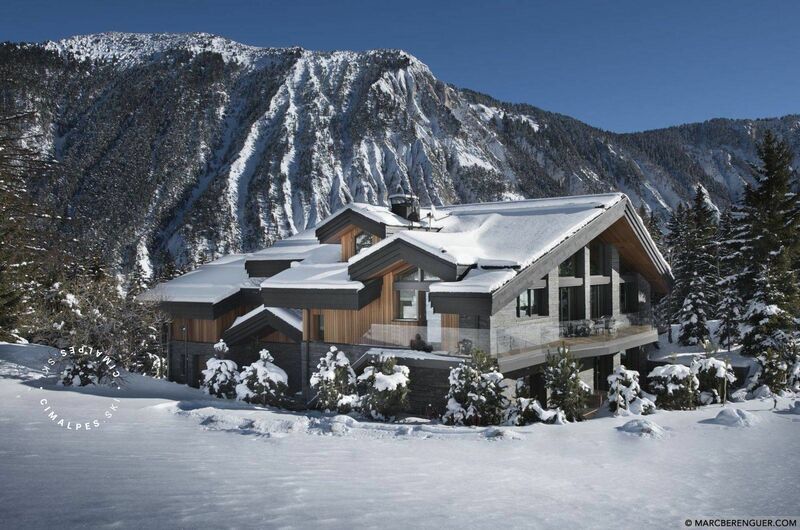 This beautiful contemporary chalet on the slopes can accommodate ten adults and two children. 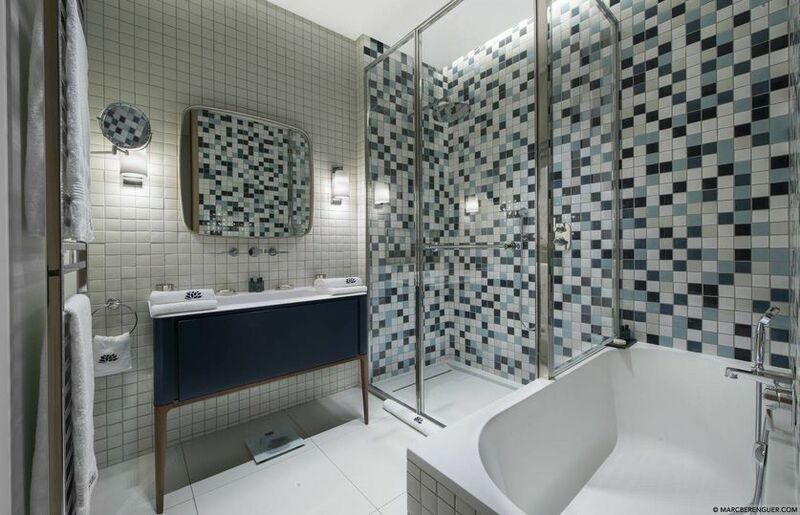 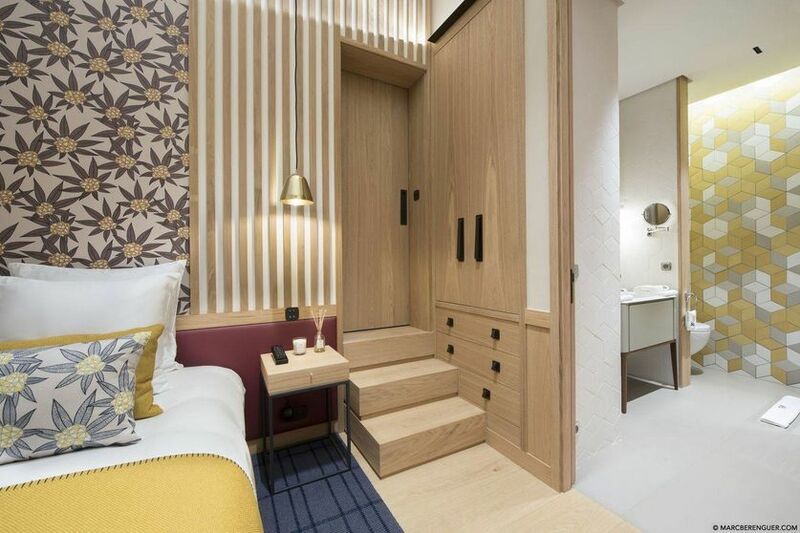 Its sublime master bedroom will delight the occupants with its dressing room, bathroom en suite with its large windows wake up will become the best time of the day. 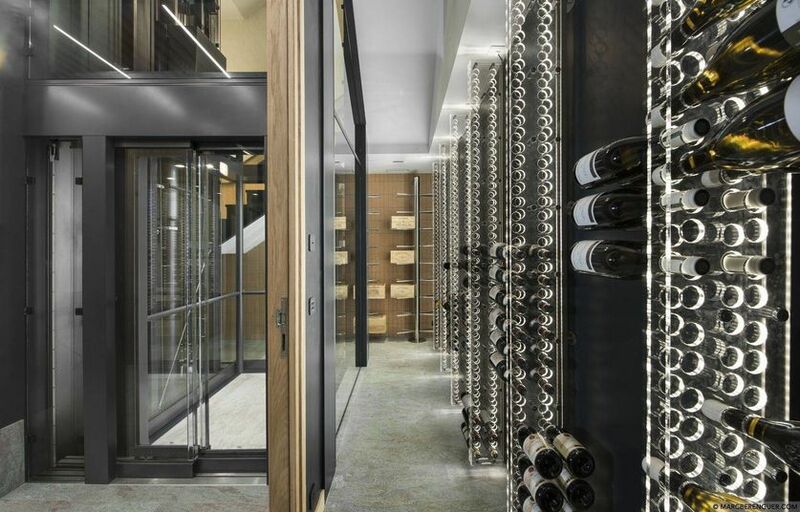 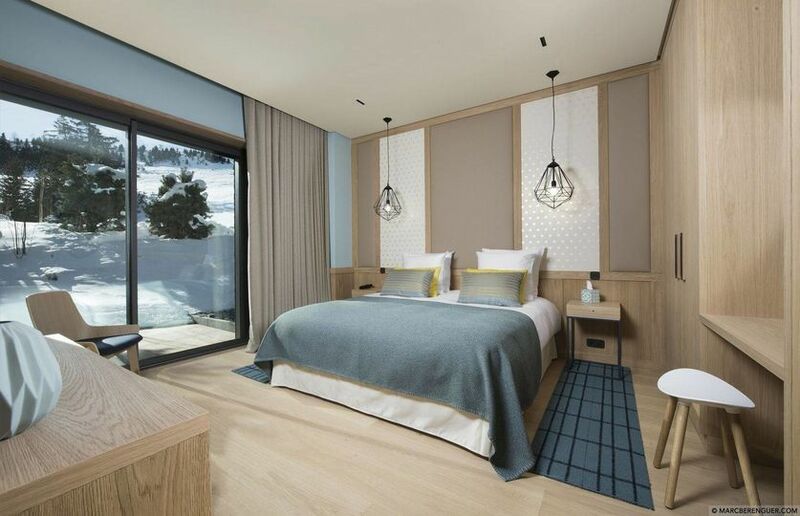 The Chalet Namaste des Neiges in Courchevel can seduce families and groups of friends with its prestigious services but while keeping the charm of a contemporary chalet in the mountains. 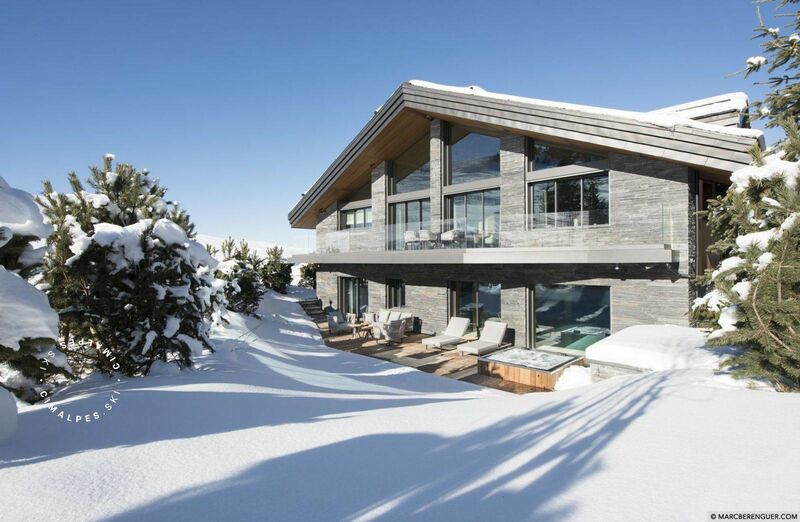 Located in the Belvedere district, this beautiful chalet with contemporary decoration is ski-in ski-out. Calm and tranquility are the watchwords of the neighborhood. 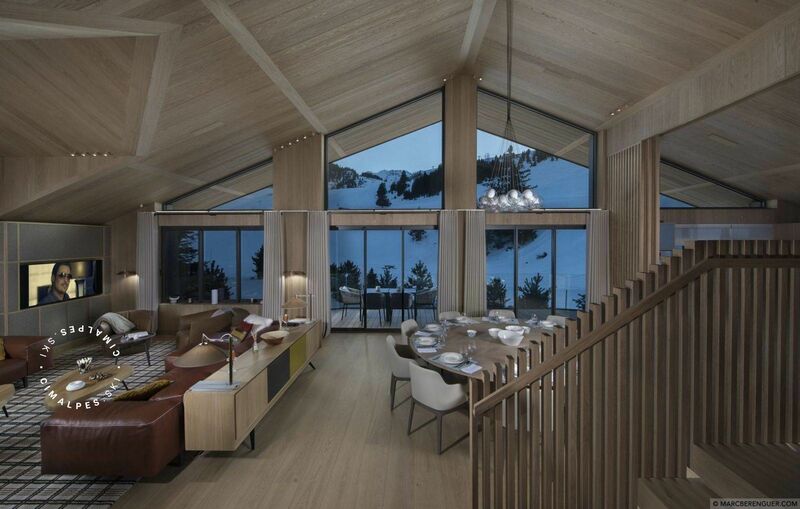 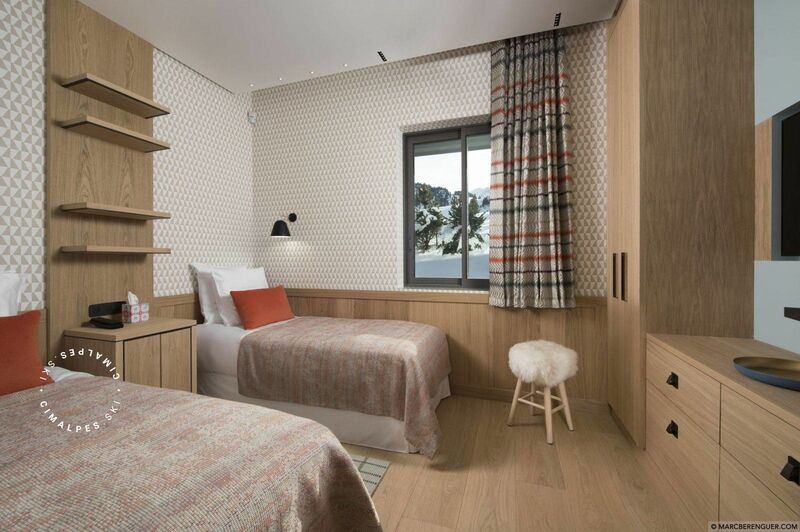 The well-being area of the chalet will delight children and adults alike. 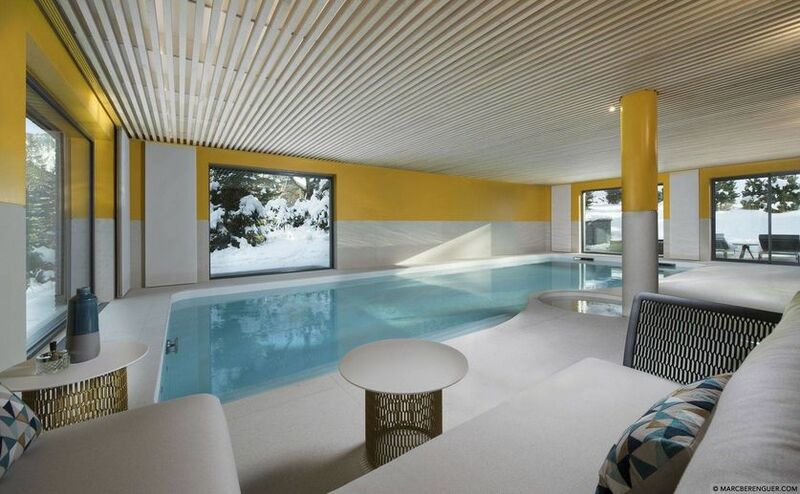 Beautiful contemporary chalet ski-in ski-out with swimming pool and indoor Jacuzzi.